These garden were built in 1661 by Knight Gran Prior Flaminio Baldani specifically as private gardens for the Italian Knights of the Order of St John. They are situated on top of a demi-bastion dedicated to St Peter and St Paul and command unobstructed views of Grand Harbour and of the area known as the Three Cities. The gardens were opened to the public in 1824. The gardens are adorned by a number of statues and monuments in stone and in bronze. There is a lovely arcaded section with a massive column at one end. This area used to be covered but the roof was removed in 1775 after a group of knights had met there to conspire against the Grand Master of the time. A lower terrace served as a Saluting Battery until 1973. Nowadays the gun is fired daily at noon by re-enactors dressed in period costume. 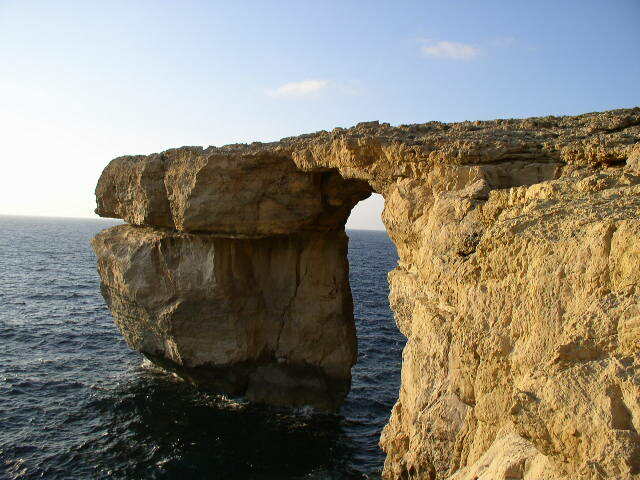 The Upper Barrakka Gardens are a favourite haunt of both locals and tourists. In summer these gardens host a number of outdoor activities including the Delicata Wine Festival, Patches – The Special Market and also private functions such as weddings. When I was still a student I worked in Valletta for two summers and most mornings I would walk to the Upper Barrakka to see the sun rising over Grand Harbour. It was truly a wonderful sight especially on humid September mornings when wisps of mist still lay on the surface of the sea, dissipating slowly as the heat increased, to reveal solid bastion walls, ramparts and fortresses tinged with a rosy pink hue. The Upper Barrakka Gardens are not large, by any means, but the spectacular view they offer more than makes up for this. I would have to conclude that those Italian Knights knew what they were doing when they chose this site as their private garden. It seems the light on your island hits the architecture with a particular gentleness. Beautiful place and very interesting story ! those lovely arcades are very similar to the ones i saw in Arequipa, Peru. the frame the views nicely. yes, I need to agree with you, those guys really knew how to have a good life among the many battles they have to endure, I think. Wow..beautiful Loree..such massively gorgoeus imagery each time..how do you just not go crazy-mad with all the beauty around you!I'd be stealing a tree sitting underneath..sipping wine and writing endless stories..just so beautiful! It must be wonderful to live as you do! shine on!! What a fantastic place! You are such an amazing ambassador for Malta! I have been loving seeing it through your eyes and really hope I make it there some day! Great post Loree! I especially love the pictures of the garden. It must be lovely to live in a place steeped in such rich history. I should come over here more often. Lovely! I love that mediterranean sun glowing on the stonework.. so beautiful.. and what an incredible place to attend the markets.. I'd probably forgo a sleep-in for this!!! PS.. I agree about the afternoon sightseeing.. I'm pretty much an afternoon person all the time..